If there’s an angling experience more exhilarating than a fish smashing a bait on the surface, I’ve not yet come across it. It matters little whether it’s a striped marlin engulfing a 12-inch skirted rubber lure trolled in the wake, a smallmouth bass pounding a popper skipped over a reef, or a brown trout chasing a hopper pattern all the way across a freestone stream, there’s just something viscerally exciting about watching your quary as it’s fooled into a reaction. Fly anglers hear early in their lessons that trout feed more than 80% of the time below the surface, and I suspect that number only increases as you move on to other species. So, it’s little wonder that few anglers select surface baits, especially when their fishing time is limited. You don’t, however, have to sacrifice numbers of fish for the thrill of watching the take; you just have to be a little selective about where and when you apply it. 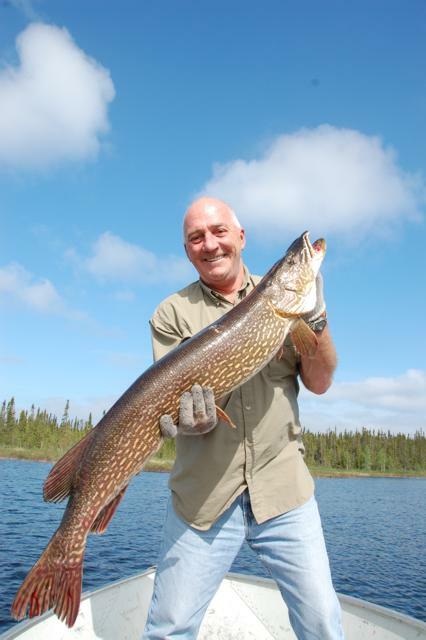 On a trip to northern Saskatchewan this summer I fished pike for three days, almost exclusively with surface lures and even my partner would admit that I caught at least as many fish as he did using more conventional tackle. The timing was optimal, as we were within a couple weeks of ice-out and the big post-spawn hens were still relatively shallow thanks to the cool water. The first day I completely wore out a Luhr-Jensen Woodchopper, losing count of the number of pike that attacked it during the strip, pause, retrieve sequence. Eventually the propellers got mangled beyond repair and I literally had to discard the lure. The combination of the noise, the commotion of the prop, and the stop-and-go retrieve was too much to resist. Further, the big floating plug allowed me to cast into pockets of cover that spoons and other lures would hang up in. The next day I switched to my fly rod, casting big polar bear hair streamers along cattail edges. In one session I hooked 10 fish in 12 casts and two of them were better than 38 inches. For my money, no hard-bodied bait can match the seductive allure of a streamer fly and these pike seemed to agree. I wouldn’t let it sink more than a couple inches below the surface, bringing it back to the boat in a series of 18-inch strips. More often than not I could see the wake of a pike as it closed in on my offering. It was all I could do to wait until I actually saw and felt the take before setting the hook. Pike are the ideal topwater fish. They are aggressive predators with a penchant for over- reaction and through the years I’ve had great luck not only with topwater plugs like Woodchoppers and Jitterbugs, but also buzz baits. I’ve also worn out more than a few mouse patterns cast into the shallows and retrieved with a steady motion. 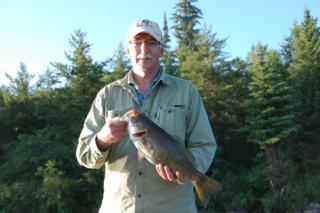 Later in the summer, mid-July, I headed to Manitoba for a couple days of fishing smallmouth bass. I decided to fish exclusively with poppers, chugging them relentlessly over and across every likely looking piece of water I could find. Most of my poppers are not sophisticated; in fact several were made by cutting up the soles of $2 sandals and inserting a long-shank hook. It’s the action, not the look that attracts bass. I hooked and landed enough smallies to keep me busy, including one 19-inch fish that qualified for Manitoba’s Master Angler program. Time of day turned out to be important when chucking poppers to these bass, with 80% of the action happening before noon or after 6 p.m. I spend most of my free time in August fly-fishing trout and grayling in Alberta’s many streams and rivers. I fish almost exclusively with dry flies but I’m not a snob about it; it’s simply that I get a huge thrill hunting rising fish and attempting to fool them. 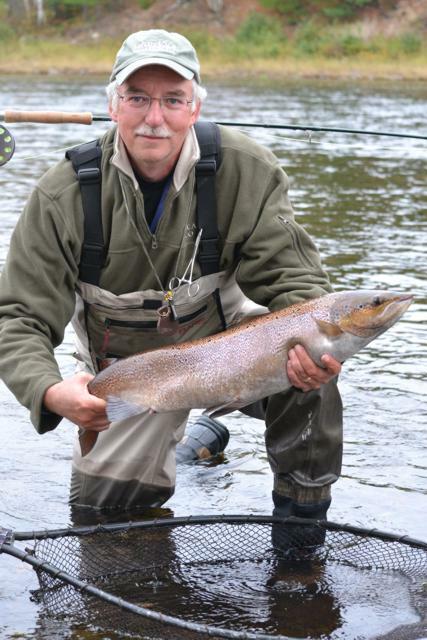 Size is more important than colour in my experience, and I will fish cutthroat, rainbow and brown trout, along with grayling, using only half a dozen different patterns. 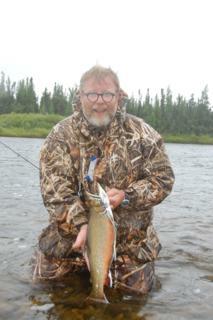 My preferred flies include stimulators, elk hair caddis, H&L variants, Adams’, pale morning duns and a hopper pattern. I’ve found that accurate presentations are more important than a precise imitation of the real thing. Depending upon the species, time of day seems to make a difference. Cutthroats keep banker’s hours, and are most active from 10 a.m. until 4 p.m. My experiences with grayling has been similar. Rainbows seem to prefer the shoulder hours, particularly through the evening when they can often be found sipping naturals off the surface in surprisingly thin water. 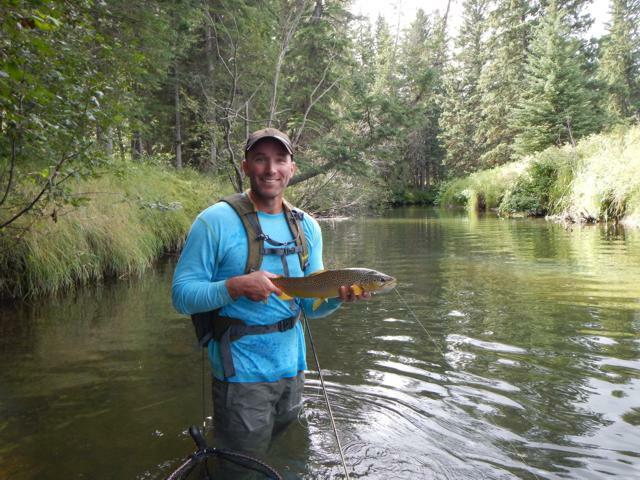 Brown trout are funny. Most often thought of as reclusive and shy, not poking their heads up except in the earliest and latest hours. I’ve actually found them to be very aggressive when they’re keyed in to a specific prey. Late in summer and on into the fall they’ll often fall all over themselves chasing a grasshopper that splat noisily onto the surface. Hopper fishing allows anglers that are still learning the art of fly-casting to experience success, as a delicate cast is not only unnecessary, it’s not as effective as one that lands a little heavier. Those who don’t fly-fish should consider experimenting with a casting bubble. 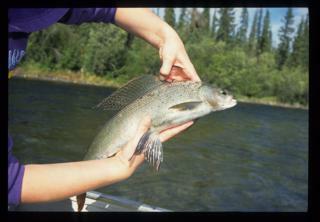 They look similar to a slip bobber, but can be filled with water to give them the weight necessary to cast a small fly. Tie your fly to a tapered leader that’s 7 ½ - 9 feet long and cast away. Ensure that you use a tapered leader, however, as the taper helps ensure that the leader unfolds and the fly doesn’t pile up. Casting bubbles can be used equally effectively in larger rivers or on potholes, lakes and reservoirs. Get past the notion that numbers are the only barometer of fishing success. As a kid, there was nothing sweeter than watching a little red and white bobber jiggle and dip, signalling that you had a fish. The grown up version of that game is fishing with surface lures which can be effective on a wide range of species. And when you hook up, you’ll find yourself giggling, laughing, and reminded of your childhood, that little bobber, and the notion that fishing’s supposed to be fun.